1948-1950 Lt Col C R T Cumberlege. 1950-1951 Lt Col J H Dalrymple OBE. 1951-1954 Lt Col F R St P Bunbury DSO. 1954-1957 Lt Col R de La H Moran OBE. 1957-1960 Lt Col P P de La H Moran. 1960-1962 Lt Col A D Firth OBE MC. 1962-1965 Lt Col A B M Kavanagh OBE MC. 1965-1967 Lt Col D E Isles CB OBE. 1967-1970 Lt Col D W Shuttleworth OBE. 1970-1972 Lt Col C R Huxtable OBE. 1972-1975 Lt Col P A Mitchell OBE. 1975-1977 Lt Col J B K Greenway MBE. 1977-1979 Lt Col M R N Bray CBE. 1979-1982 Lt Col W R Mundell OBE. 1982-1984 Lt Col C R Cumberlege. 1984-1987 Lt Col E J W Walker OBE. 1987-1989 Lt Col A D Roberts MBE. 1989-1992 Lt Col A D Meek. 1992-1994 Lt Col D M Santa-Olalla DSO MC. 1994-1996 Lt Col N St J Hall. 1996-1999 Lt Col S C Newton MBE. 1999-2002 Lt Col N G Borwell OBE. 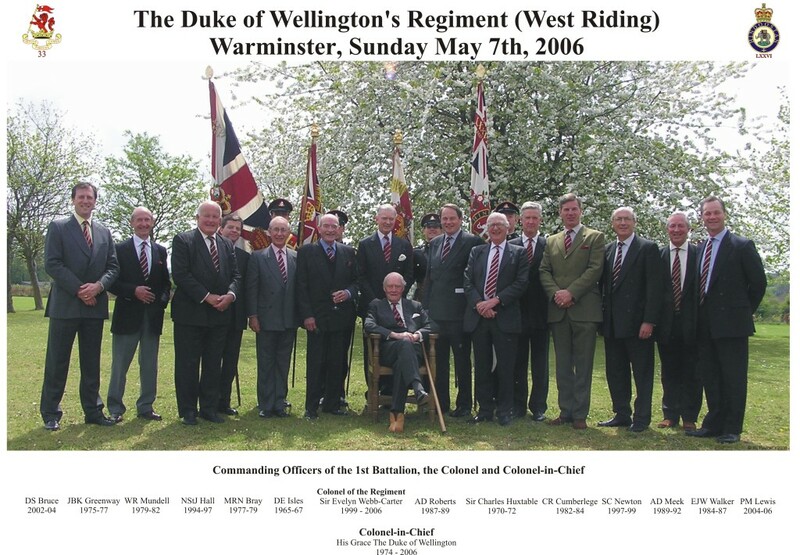 2002-2004 Lt Col D S Bruce OBE. 2004-2006 Lt Col P M Lewis OBE.